Sign by Sideshow Sign Co. I met the man behind Southern Lights Electric years ago when I was younger and dumber. When I thought all my dreams would come true. When I thought, "there is still a chance I might get a Buddytown invite!" When my professor called me Penny Lane due to my high tolerance for music consumption and, well, groupie tendencies. Now, now I tell my husband he is the only dream I ever wanted--he believes me most of the time. I am still waiting on that stupid invite. NPR helps me find new music these days (I mean...who admits that?!). And I'm lucky if I make it to a show once a month....Nostalgia. Oh yes, sorry, Mr. Southern Lights! During my Penny Lane days I met Adam Gatchel. Adam was in a band and was friends with some of my good friends (who were, of course, in a band). We hung out here and there. Oh the good 'ole days. Adam will remember his band days forever but, he has found a new gig. 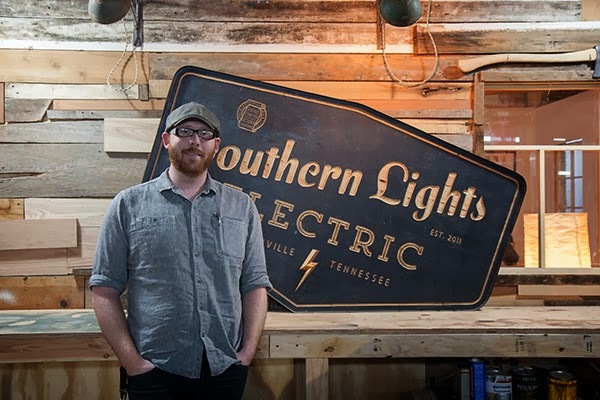 Southern Lights has expanded in the last few years and has brought him and his wife, Jamie, to the place of owning/operating a quite successful small business. As you will read later, Jamie runs the show; but Adam created the business in his home years ago and now requires a larger space for production. His "office" is in a warehouse connected to Fort Houston on Houston Street near downtown Nashville. 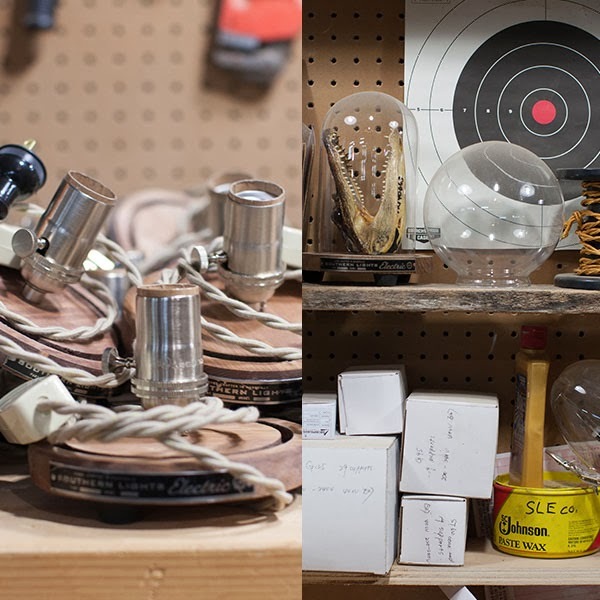 His space is interwoven with many other creatives and small business owners. 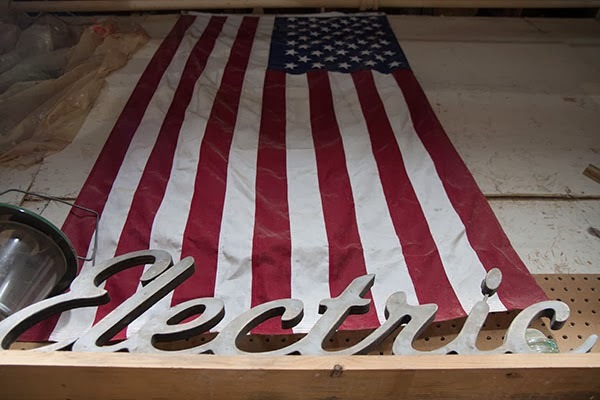 One being Sideshow Sign Co. that created his fantastic sign seen above. I felt more creative just wandering through their space. In addition to requiring more space he often needs more hands on deck as well...that is where his friends come in to help from time to time. While owning your own business can be stressful, what a better way to keep it at bay than by having your friends around from time to time? Also cool about Southern Lights, most of their creations are created using products made in the US of A. I like that. And the materials he uses are not shy of attention to detail. Even the wiring he uses is aesthetically pleasing. It's one of my favorite parts of his desk lamp you can see below. And I love the aged branding plate on the base of the lamp (my words not Adams, I'm sure there is an official term for that). I ramble. 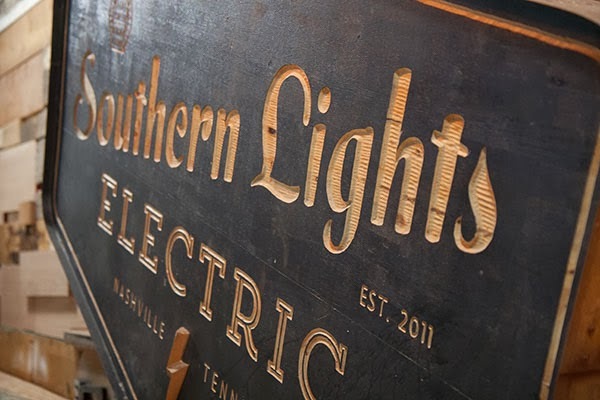 Without further adieu, Southern Lights Electric and their mood-inducing work you are sure to have seen if you have been in Nashville in the last few years (or maybe Asheville, Brooklyn, Chicago, or Australia to name a few). PP: Is there are certain period in time that you are inspired by? 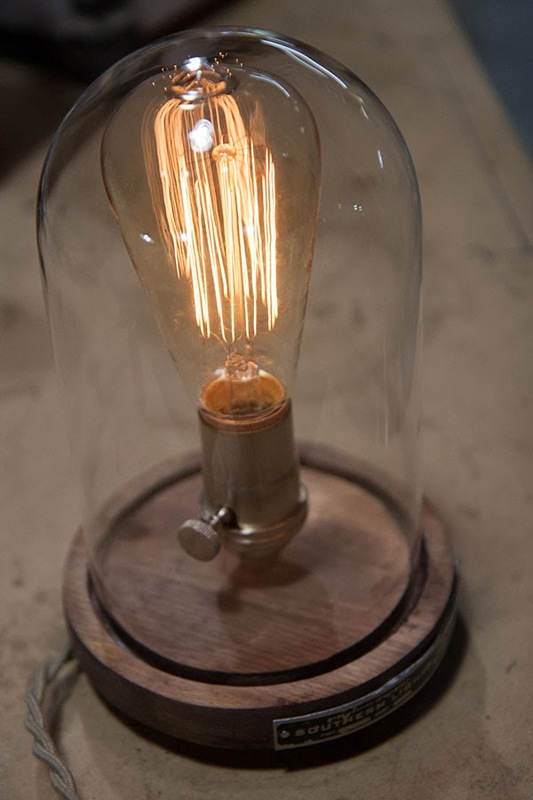 Your work is quite modern yet very old school with the Edison bulbs you pieces feature. 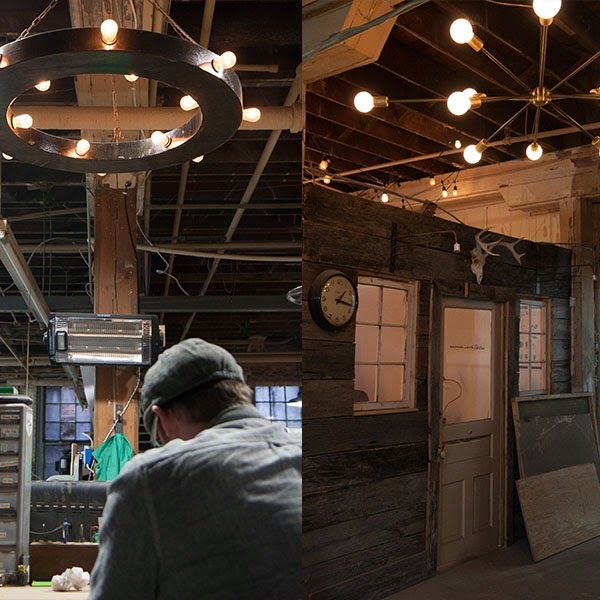 AG: When we first started out I was drawn towards industrial lighting from the turn of the century because it was so functional and simple. But more recently we have been inspired by more modern and Mid-Century modern pieces. PP:Where does your design inspiration come from when you are working on a particular space? AG:We always ask the client for their ideas first to see where their vision is going and then we can mold and refine the designs from there. Other construction materials play into the design certainly, but agreeing on an overall feel and atmosphere for the space is the biggest challenge. PP: I know you said when working with clients you may alter blueprints of a space to better fit your designs...is that the first time you see the design for the space you are working on? When you alter the blueprints is it for space or electricity...what is being changed? AG: The ideal situation is to be able to walk into a space and start designing but sometimes that’s not an option so we start with blueprints. We basically look at the blueprints and start to lay out the RCP (reflected ceiling plan) as far as lighting is concerned. In a commercial setting we draw out where every fixture will go and how we will “separate” the room if necessary. We start with general lighting and then accent and feature lighting. Getting the proper layout is the most important part because we could build a beautiful custom wall sconce but if it is in the wrong place it would be worthless. PP: What is your biggest challenge when working on a commercial project? AG: There are many challenges on commercial projects but what always worries me the most is coming up with a cohesive and comprehensive lighting package. 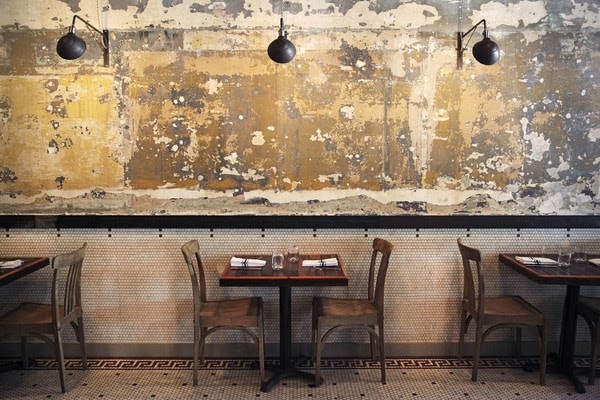 We want a customer to walk into a space and feel a certain way, we want it to have a vibe. 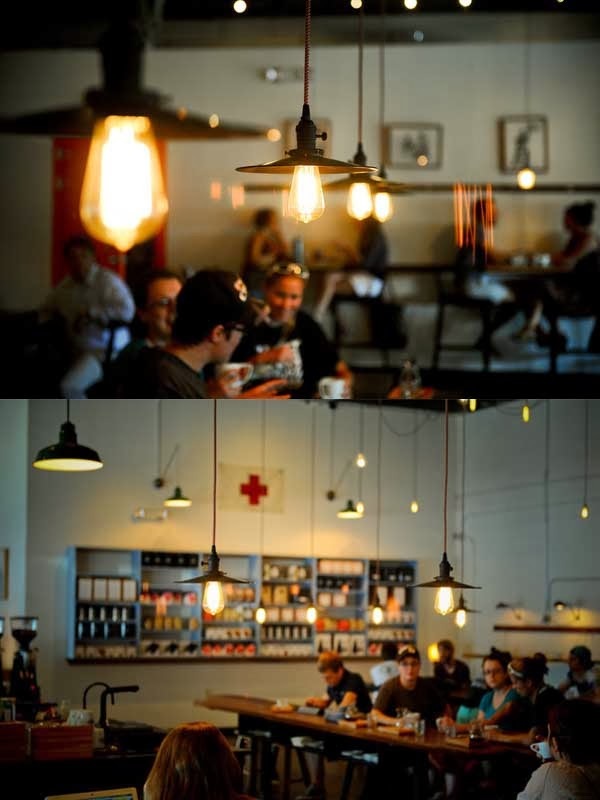 You could have a beautifully designed restaurant but with bad lighting the mood is killed. PP: Do you do much residential work right now? Would you like to do more or less? AG: I have been doing some consultation recently on residential projects but we don’t build a lot of custom pieces for them. I think I prefer working on commercial projects because I can go and enjoy them more. PP: Do you have pre-made pieces that can be purchased? AG: We do have a collection of designs that we adapted from the commercial side for use in residential spaces as well as some desk lamps and such. Those pieces can be customized as well for your home. We only sell our products online right now but maybe in the future we would offer them in retail stores. Someday I would like to have a showroom/retail space. PP: What is Jamie's role in the business? PP: How does working with your wife and friends change the way your work or run your business? AG: Having Jamie and my friends as a part of this is invaluable because I am surrounded by people who really care about the business and want it to succeed. It’s a very supportive environment where everyone’s opinion matters. These are the people I trust the most so I am very lucky to have them involved. PP: Do you and Jamie find it difficult to separate work and home life? AG: It is hard sometimes to separate home and work life, especially when the business is young. I feel like I am working 24 hours a day. But ever since we moved out of the garage and into a large shop it has gotten better. I think the key is having a schedule and sticking to it as often as possible. PP: What are you most excited about in 2014 for Southern Lights? AG: Right now I am pretty excited about some new designs and redoing the website. I want to release some new products and see how they do. We are also in the very early stages of a line of home goods that I think could be a really fun project. Just creating new things. Here is a little more about Southern Lights presented by a super cool venture called Small Batch. Small Batch Presents: Foreign Fields // Southern Lights Electric from Small Batch Presents on Vimeo. Adam Gatchel is a craftsman and an artist. He was raised in Chicago and moved to Nashville, Tennessee in 2002. 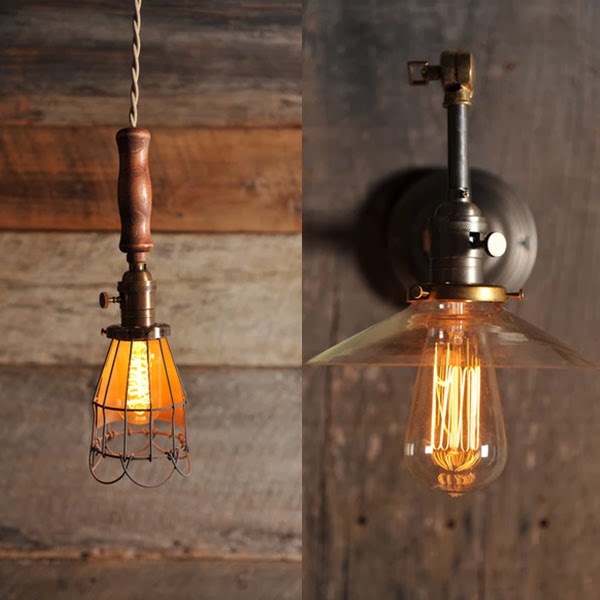 Adam is inspired by turn of the century lighting and the beauty of raw materials. "I love creating useful things with my hands. I want my pieces to last forever, so I put a lot of thought and time into the quality of the materials. I want to do it right and be proud, I want to build things like my grandfather would do it." Southern Lights has been featured in, The NY Times, Southern Living Magazine & on WestElm.com, Fab.com, and ApartmentTherapy.com. 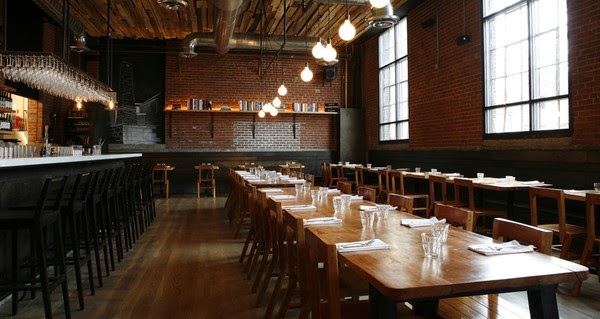 Selected for the 2013 "Made in the South Awards" by Garden and Gun Magazine.